NYC based alt-pop duo, MS MR (Lizzy Plapinger and Max Hershenow) joined forces shortly after both graduating from Vassar College. They soon took the pop scene by storm May of 2012 with the release of their single, “Hurricane,” which has since garnered more than 4 million views on YouTube, awarded ‘Best New Track’ on Pitchfork and rose to #1 on Hype Machine. The single was also featured in Tom Ford’s runway show and Gucci Ad campaign. MS MR was quickly picked up by Columbia Records and released their debut album, Second Hand Rapture, in 2013. Along with the success of “Hurricane,” their song “Bones” was featured on the third season trailer for the HBO hit series, "Game of Thrones." 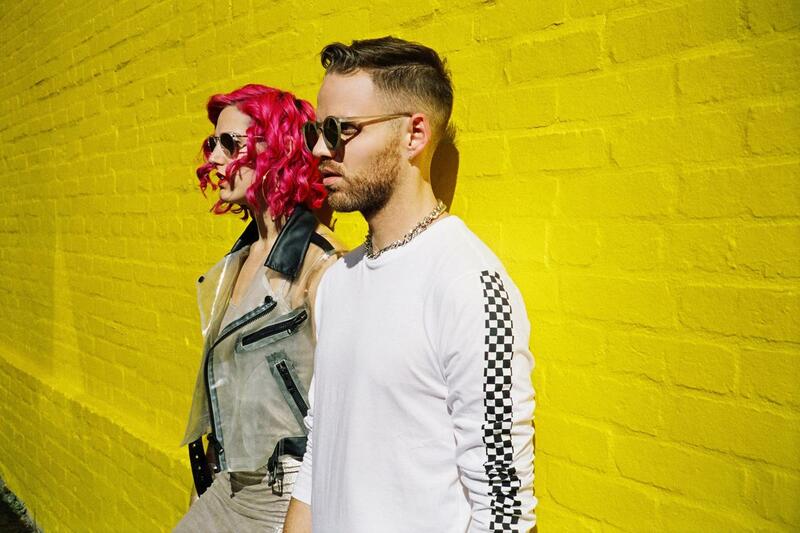 MS MR has had international touring success performing at major festivals such as Lollapalooza in Chicago, Glastonbury in the UK, Splendour in the Grass in Australia, Austin City Limits and Coachella to name a few. They have also toured extensively along side acts such as Marina and the Diamonds, GROUPLOVE and Jessie Ware. Currently, the duo is working on their highly anticipated follow up album is to be released in 2015.